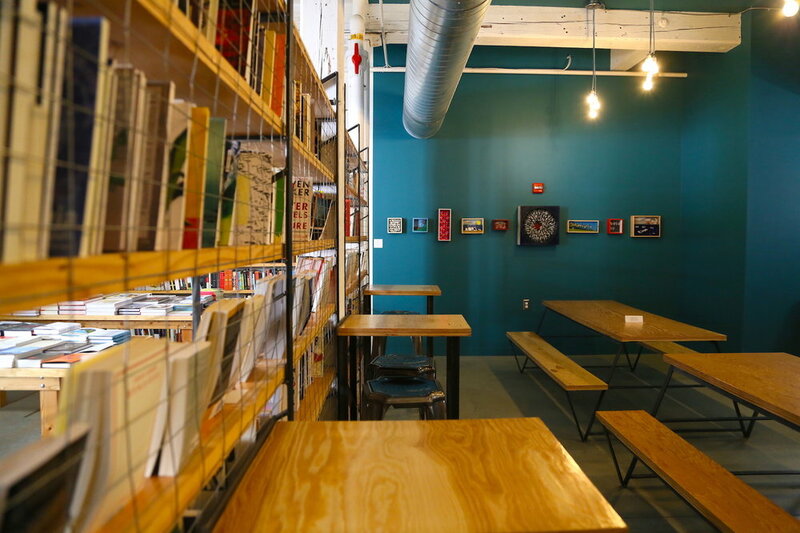 Riffraff is a bookstore, coffee shop, and bar in the Olneyville neighborhood of Providence, RI. We aim to stock diverse books by underrepresented voices, including a lot of books from independent presses and titles in translation, and especially books that you might not have heard of before. The bar offers beer, cider, and wine in addition to a solid, no-frills, inexpensive cocktail list that changes every month or so. The bar opens at 11am along with the bookstore, and you can also get books, tea, or coffee until we close at night. 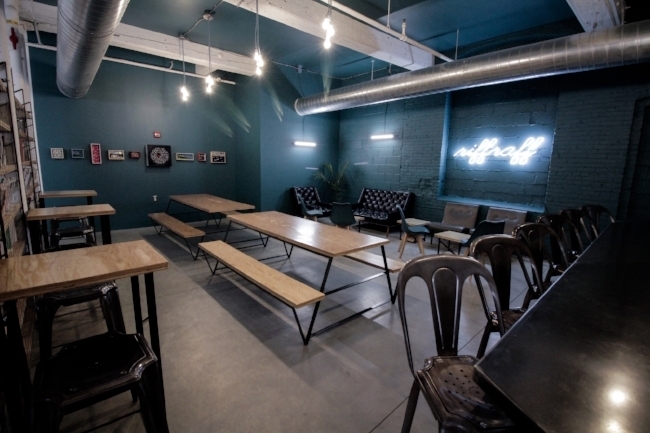 We have plenty of room to work during the day, and free WiFi for customers. We dim the lights around 5pm. We hope to see you soon! Subscribe to our newsletter for updates about goings-on in the store/bar.